congress of the American Association for the Study of Liver Diseases in San Fransisco 9th-13th of November. Dr. Niklas Björkström from Karolinska Univeristy Hosiptal, Stockhom, Sweden will visit us for his first time as a guest profeoor 11th -12th of September 2018 for overall evaluation and discussions of the research activities and meeting with the researchers and PhD students. This biannual meeting will be held in 18-19th of June in Paris this year. The spring's International PSC Study Group meeting 2018 took place at The International Liver Congress arranged by Europeean Ascociaton for Study of the Liver in Paris Thursday morning April 12th. The Annual NoPSC retreat 2018 took place at Holmen Fjordhotel 11-12 Jnauary. The main topic was Supervisoin in differnet setting and the invited speaker var Erlend Hem. Bothe the scientific and the socila program was a huge success. Professor Michael Trauner from the University of Vienna and Professor Frank Tacke from the University Hospital, Aachen, the Center's two guest professors, visited us again on November 28th - 29th 2017 and meet all researchers and PhD students for overall evaluation and discussions of the research activities. congress of the American Association for the Study of Liver Diseases in the Union Station Room at the Marriott Marquis Hotel, Monday October 23rd between 12.30 - 14.30. Master of Science Eva Kristine Klemsdal Henriksen at the Institute of Clinical Medicine/NoPSC defended her thesis for the degree of Philosophiae Doctor (PhD): T-cell receptors and human leukocyte antigens in promary sclerosing chonalgitis on October 4th, at Oslo University Hospital, Rikshospitalet. Cand. med Elisabeth Schrumpf at the Institute of Clinical Medicine/NoPSC defended her thesis for the degree of Philosophiae Doctor (PhD): The role of natural killer T cells and gut microbiota in biliary inflammation 6th of June 2017 at Oslo University Hospital, Rikshospitalet. Johannes E. Hov group leader at the NoPSC research center was granted Oslo University Hospitals Early career award May 5th 2017. Professor Michael Trauner from the University of Vienna and Professor Frank Tacke from the University Hospital, Aachen are at present the Center's two guest professors. They visit us on December 6th - 7th this year to meet all researchers and PhD students for an overall evaluation of the Center's activities. On December 7th 2016 Professor Tacke will have a lecture on " Hepatic macrophage heterogenity in liver diseases - from pathogenesis to novel therapeutic strategies" at the Institute of Internal Medicine, Oslo University Hospital/Rikshospitalet room D1 2082. One of the Center's Scientia fellows, Dr. Georg Schneditz will also attend the meeting in Oslo. This autumn's International PSC Study Group meeting will take place within the framework of the annual congress of the American Association for the Study of Liver Diseases in the Sheraton Hotel's Gardner room on Monday, November 14th between 12.00 - 14.00. Organised by the Center's Genomics and Metagenomics Group, the Third National Microbiota Conference will be carried out in the Radisson Blu Scandic Hotel (Holbergsgate 30, Oslo) on November 1st this year. In the period October 18th - 20th 2016 the Center hosted Dr. Gregory Gores from the Mayo Clinic, Dr. Benjamin Goeppert from Heidelberg University Clinic and our Scientia fellow, Dr. Brian Chung, at present at the University of Birmingham. 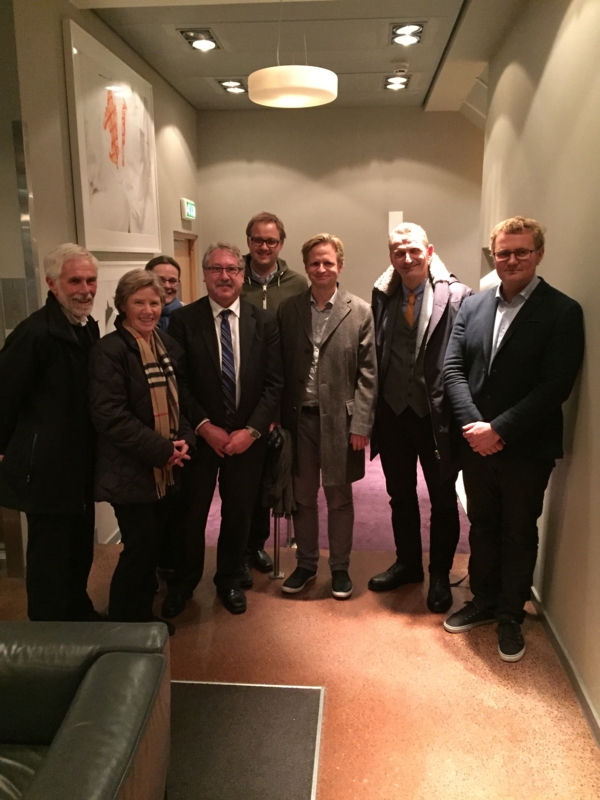 The aim of the visit was to discuss collaborative projects and to organize the seminar "New developments for the most challenging cases of GI cancers" on Thursday, October 20th at 13.30 - 15.00 in Rikshospitalet, Auditorium D1 2082. Cand.med. Martin Kummen at the Institute of Clinical Medicine/NoPSC defended his thesis for the degree of Philosophiae Doctor (PhD): Primary sclerosing cholangitis and the gut microbiota - a study of mice, man and microbes. The annual conference of the Norwegian PSC, PBC and AIH Patients' Organization took place at Rikshopsitalet on September 9th 2016. Specialists from NoPSC had presentations at this conference. Winner of the first IPSCSG Accomplishment Award, Dr. Kirsten Boonstra from Spaarne Gasthuis, Haarlem visited Oslo on August 24-25 to receive her diploma and have talks with the Secratary of IPSCSG and Leader of NoPSC, Tom H. Karlsen and his team. The 4th biennial International PSC Study Group Workshop was organized by and carried out at Yale Medical Center on June 25th – 27th this year. The meeting was also part of the PSC Partners Seeking a Cure patient conference with one joint session of the two organizations. More than 100 clinicians and scientists from all over the world working on PSC and related diseases were together to discuss the latest achievements in the field. Two keynote lectures addressed the issues of microbiota and biliary diseases respectively while six break-out sessions shed light on i) animal and cellular models and pathophysiology, ii) disease (natural) history, iii) patient reported outcomes, iv) biomarkers, v) imaging and vi) malignancy studies. You find the programme of the meeting here. Steps were taken to establish joint studies to solve above challenges. New working groups are under establishment and will be finalized during the next IPSCSG meeting in connection with the annual AASLD conference in November. The meeting also witnessed the presentation of the first IPSCSG Accomplishment Award to Kirsten Boonstra from Spaarne Gasthuis Haarlem, The Netherlands. The organizers at Yale Medical School, in particular David Assis, James L. Boyer, Mario Strazzabosco and Jennifer Horn did a very good job in organizing the meeting. Cand.med. 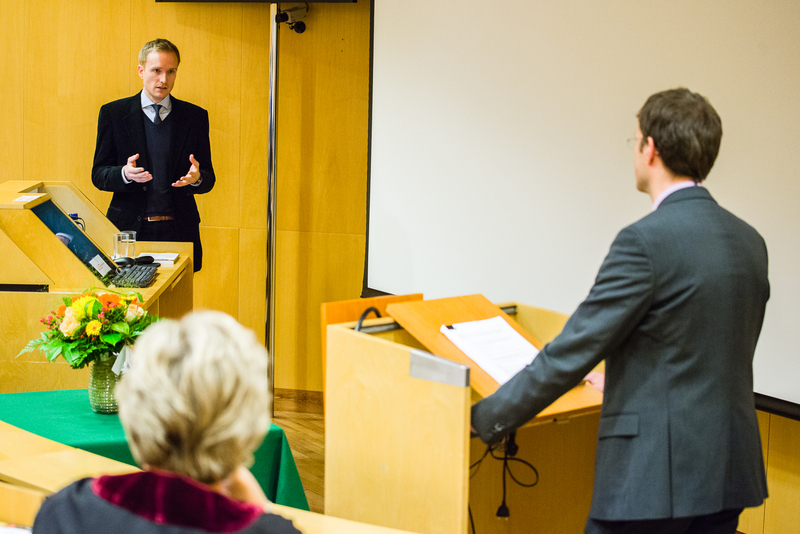 Bjarte Fosby at the Institute of Clinical Medicine defended his thesis for the degree of Philosophiae Doctor (PhD): Liver transplantation in the Nordic countries with emphasis on Patients with Primary sclerosing cholangitis. 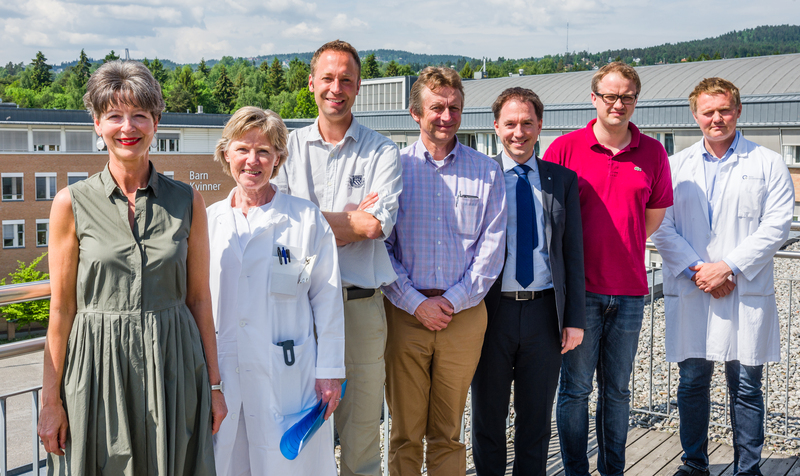 Secretary General of the European Association for the Study of the Liver, Professor Laurent Castera visited Oslo University Hospital and the Norwegian PSC Research Center (NoPSC) on June 7th 2016. Professor Castera is, among other things, the main author of the Guidelines for treatment methods of non-invasive liver diseases. During his day long visit Professor Castera meet specialists from the Departments of Gastroenterology and Radiology and NoPSC. Spring 2016 guest professor meeting took place on June 2nd with Professor David Adams of the University of Birmingham, UK and Professor Frank Tacke from the University Hospital Aachen, Germany. Professor Andre Francke from the University of Kiel also visit edthe Center on that day to participate in the discussions around the Center’s project portfolio and to plan our joint meeting funded by the German-Norwegian Study Center. May 24th 2016 the Center hosted the first meeting of the Scientific Advisory Board (SAB). The Board’s members are Professor Herbert Tilg of the University of Innsbruck, Austria, Professor Terje Espevik of the Norwegian University of Science and Technology and Professor Tore Kvien of the University of Oslo.